In a pan, fry the onion in oil for 3-5 mins until cooked. Add rice and garlic and cook for 2 mins, stirring continuously. Pour in a half of the stock in the pan and allow to simmer, stir every few minutes while gradually adding the rest of the stock until the stock has been absorbed and the rice in the cooked and creamy. Take off the heat and add Tassal Hot Smoked Salmon, mascarpone, parsley and lemon. 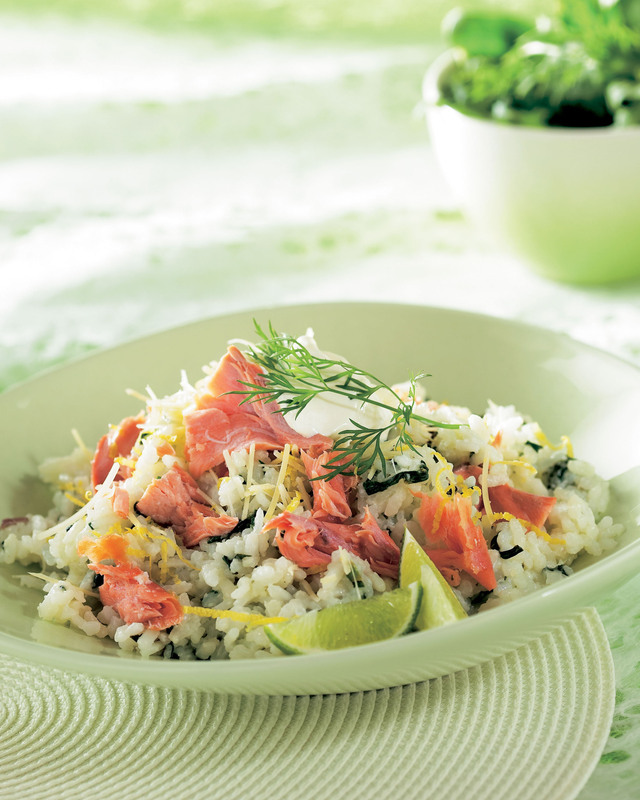 Season to taste and garnish with dill lime wedges and enjoy!